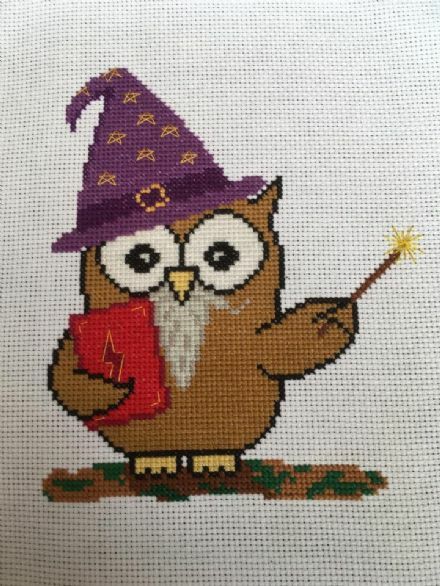 Wizard Ollie Owl is a unique colour cross stitch chart measuring 76 stitches wide by 89 stitches high, charted using 15 DMC colours. The main image shown shows the full kit. 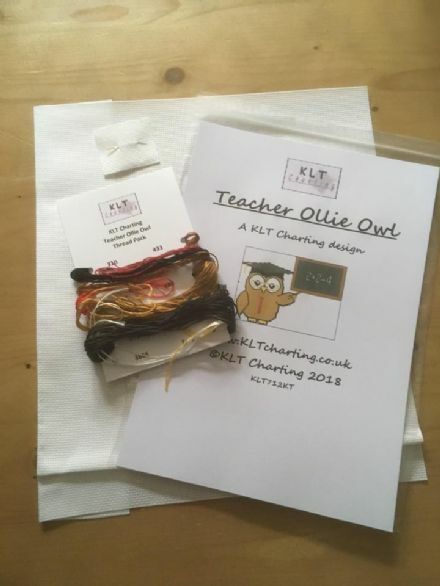 The second picture was model stitched by Kim. 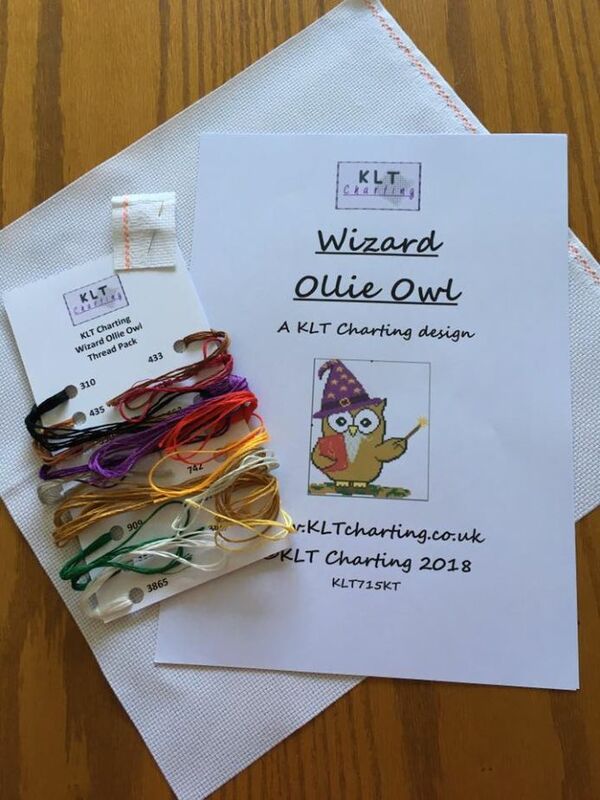 The third picture is a computer generated preview of how the chart will look when stitched.